U-Haul trucks are also among the safest on the road. All of our truck rentals offer airbags, seat belts and 24-hour roadside assistance. At Pacific Storage our friendly and professional staff is dedicated to ensuring that you have a successful moving day. We will be happy to assist you in choosing the right size truck for your move. Our staff will take into consideration how much you have to move and how far you have to travel. Whether you’re moving across the street, across town or across the country, we have a moving truck rental for you. For more information on the moving truck rentals available at Pacific Storage, contact our office today. 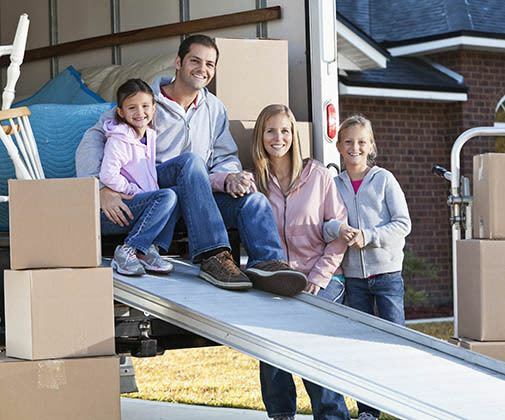 Make a Plan – Before loading up your moving truck, make a plan. Figure out what you have to move and where it fits. Order it like this: Heaviest items go in first, then the longest. Boxes next and finally loose items to fill in the extra spaces. Make use of Dollies and Carts – When it comes to loading a moving truck, too much heavy lifting can cause unnecessary strain on your back. Protect yourself by using our complimentary dollies and carts. Buy New Boxes – Boxes that are old and worn out need to be replaced. Protect your belongings with new boxes.